Farewell, my dear holiday! Oh, my summer holiday is officially OVER. I'm so sad, I mean it's been the best holiday I've had so far as it involved a lot of travelling, SHOPPING, making new friends, improving this blog, reading, cooking & even a little driving. And there is one more major thing that happened in this beloved holiday of mine: I got my (now) favourite fragrance , Gucci Guilty & a Givenchy bag from some family friends! 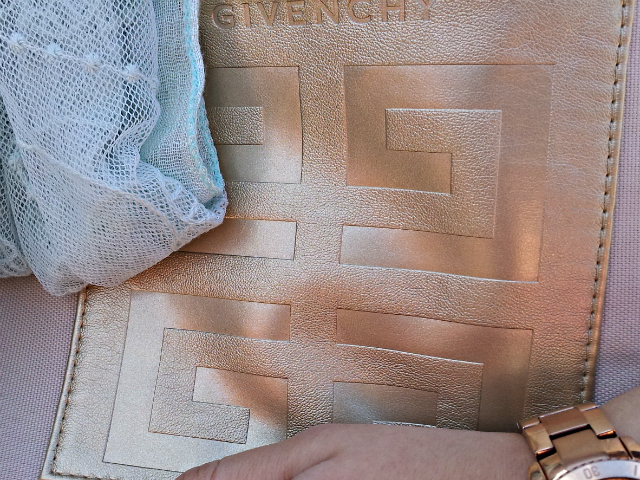 Yes, a Givenchy bag! I was over the moon! It's not made of leather or anything, it's more of the light and beach-appropriate type but it has golden details, a great size (perfect for school) and the most incredible shape!!! What more can a girl ask for? I took it out for a walk and decided to match it with some grey and sandy yellow tones, I love how every detail works! Of course my outfit needed a splash of color, so I went for a mint (I know, such a surprise! haha) scarf which I got for my birthday from my cousin. 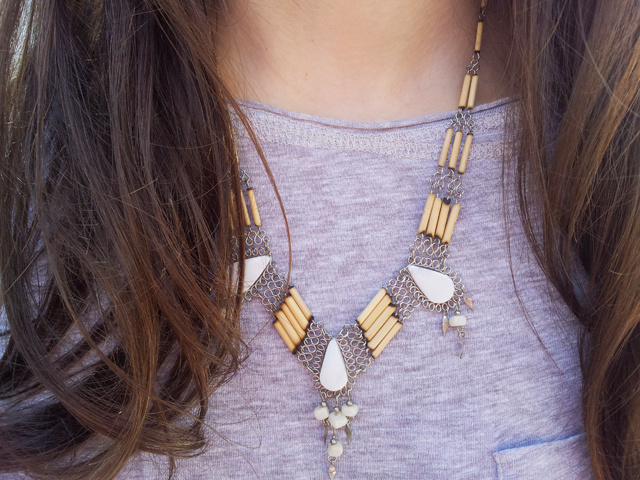 Also, note my incredible statement necklace I got from my friend Andreea, I love it! I really have amazing people in my life, thank you all for supporting me and always being so kind! Yes, I am talking about S. too , who took these stunning photos and also about M. who spoiled me today with the cutest navy top! This is such a pretty outfit! I love that skirt! You look pretty! Love the scarf in the bag! nice look and beautiful shoes! LOVE your shoes! and that bag is to die for! I've just started a blog and was wondering if you had any tips on how to run a successful blog? 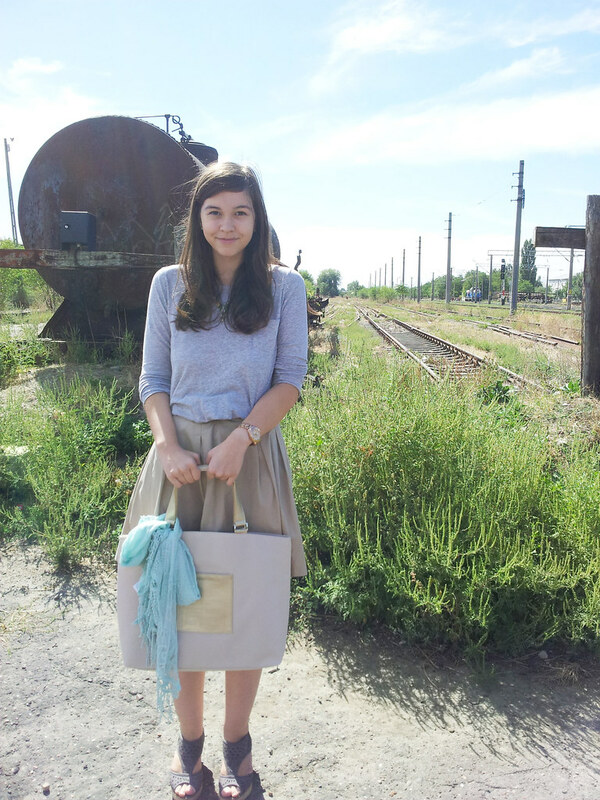 love the colors of the outfit and great bag! Geanta este o comoara!! !Ai grija de ea! Absolut cute! 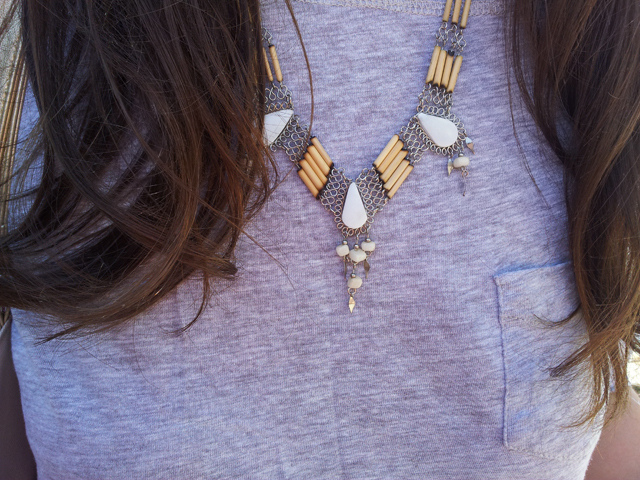 And a lovley necklace! Looks so cool and comfy, while so simple! Great accessories! 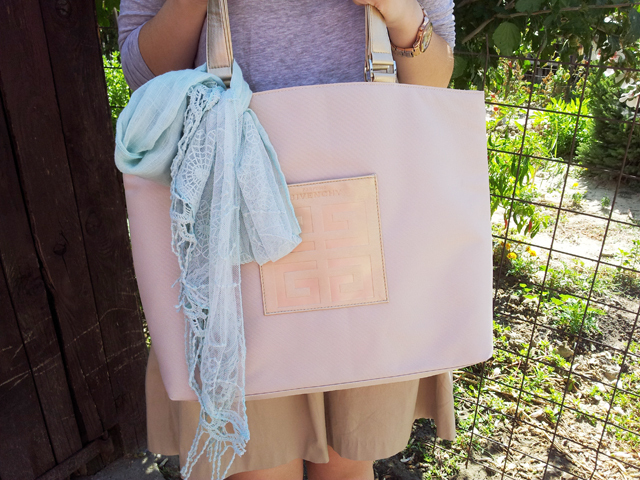 Your Givenchy bag is gorgeous, I love that pale pink color! It goes great with your pretty outfit :) now following.